I, too, was born in Bethlehem ~ okay, okay … it was Bethlehem, Pennsylvania! But this gives special meaning for my visit to the Bethlehem of the Holy Lands. 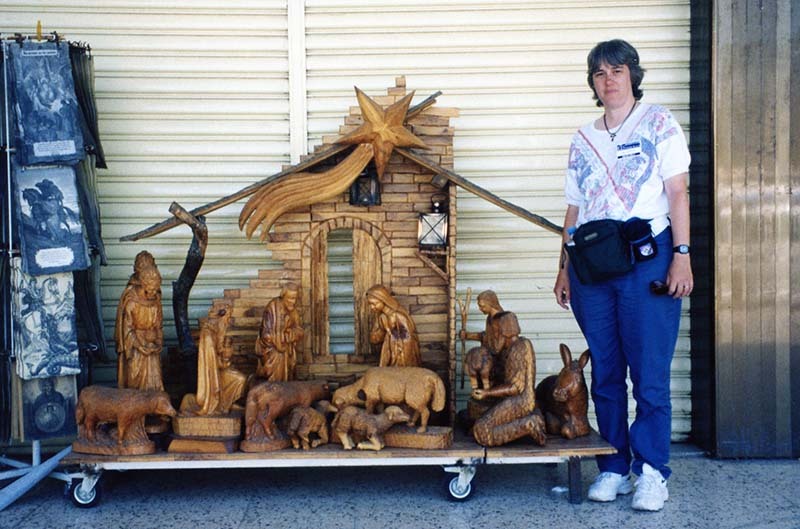 For the millions of tourists who come here every year, and for importing to other countries, factories in Bethlehem produce hand-crafted olive-wood Nativity sets in all sizes, as well as a very wide variety of other carvings. Although started by machine, no two are exactly alike because each artist finishes the fine details by hand.